A truly unique pewter shave mug. 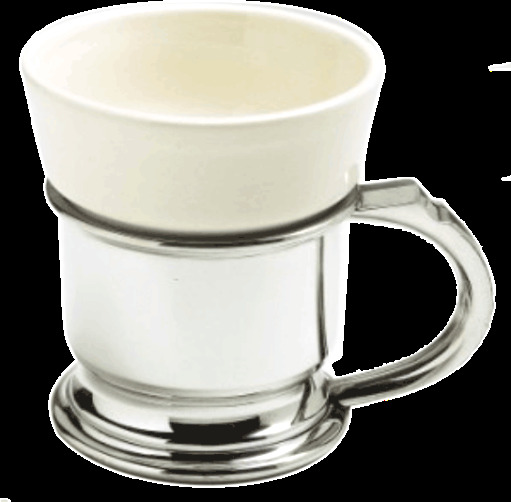 The mirror finished pewter mug is fitted with a white ceramic liner which increases the lathering depth significantly.The ceramic liner is removable for easy cleaning. Col Conk 2.25 oz. soap included.